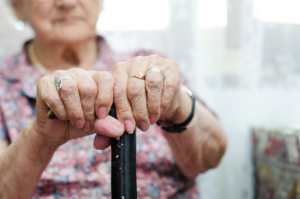 When an elderly parent moves into a retirement home or similar type of facility, all too often they are not cared for properly or are outright abused. Though you may have had every reason to believe your loved one was in good hands, you may have recently become suspicious that not all is well. You may have even learned that your parent was abused or neglected. Our Danbury elder law lawyer at Sweeney Legal has met many families who were not aware of their legal rights when their loved one was mistreated. We are committed to safeguarding and protecting the rights of our fellow community members, especially those who are the most vulnerable such as the elderly. Call us today to find out more about how an elder law lawyer may be able to get your loved one compensation for their physical and emotional injuries, including pain and suffering if applicable. Elder law is a specialized area of the legal world. For a lawyer to meet eligibility for handling elder law cases, they must undergo training and fulfill an educational curriculum that is specifically focused on elder law. At Sweeney Legal we are proud to have an elder law lawyer on our legal team to help protect the rights of elders within our community. Within the specialization of elder law, certain legal avenues are available for an elder law lawyer to pursue on behalf of their client. It requires such a lawyer to be aware of these tools and to have a deep understanding of how best to leverage them. A Danbury, CT elder law lawyer is particularly familiar with the unique needs that an elderly person may have, especially when it comes to short and long term health care, housing, challenges with maximizing quality of life, and financial struggles. There are stereotypes about elderly people that depending on the individual may have no basis in fact. This can include issues regarding aging as it relates to the elder’s physical, mental, and emotional conditional. Our elder law lawyer Danbury, CT residence trust at Sweeney Legal is part of an established network of healthcare professionals including physicians, psychologists, social workers, and mental health experts. It can be beneficial to call upon one or more of these specialists when establishing a case against a healthcare facility on behalf of your elder. For example, if they unfairly claim they had to place your loved one in restraints because of their violent nature, we can call upon an expert to testify that the facility’s claim had no basis. If you suspect your elder is being mistreated or abused, call us at Sweeney Legal immediately. We offer families of elders a complimentary consultation so that we can learn the details of your case. If a healthcare facility is negligent or abusive of your loved one, they may be subject to criminal charges by law enforcement. We can also pursue a personal injury claim against them and a civil lawsuit if necessary. Call us today to schedule a free consult with an elder law lawyer in Danbury, CT who can make a difference for your loved one’s quality of life.